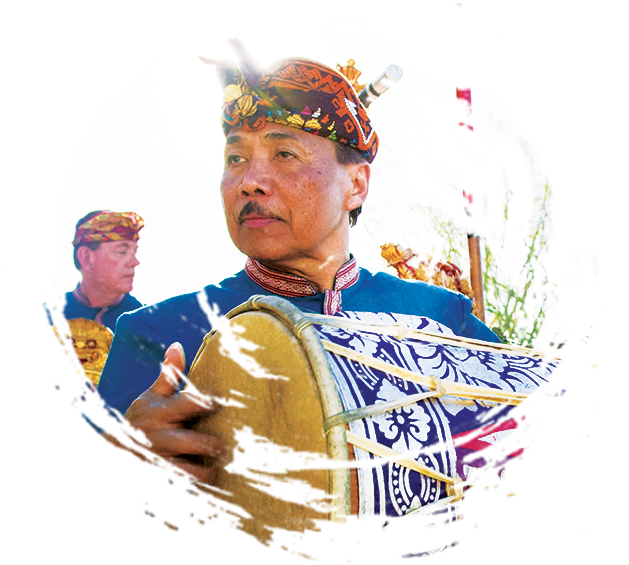 Bali: Beats of Paradise spotlights pioneering Indonesian composer, Nyoman Wenten, who spent most of his life spreading the beauty and mystery of Balinese music and dance across America. Shot mostly on location in Bali by director-producer Livi Zheng, the film celebrates the brilliant scenery of the island as well as the authenticity of Balinese culture and Gamelan music. Known as the music of Indonesia, Gamelan (pronounced Gah-Meh-Lahn) typically uses bronze, iron, bamboo or wooden bars, as well as bronze and iron gongs, gong chimes, cymbals, bells, and two-headed drums to create a unique shimmering sound. After 40 years of teaching and performing Gamelan throughout the world, Wenten wanted to leave something special behind before retiring to Bali. Coincidentally, Grammy Award-winning singer Judith Hill was looking for a distinctive sound for a new piece of music she was composing. During the making of the film, Zheng was granted access to private ceremonies and religious events never-before-captured on film in stunning full-resolution color. In addition, the musical performances were recorded with state of the art audio equipment, providing an immersive experience like no other.